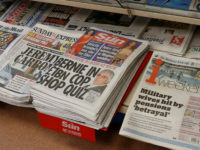 The Daily Mail and Sun both raised the volume of their general election coverage with front page attacks on Jeremy Corbyn on the eve of polling. 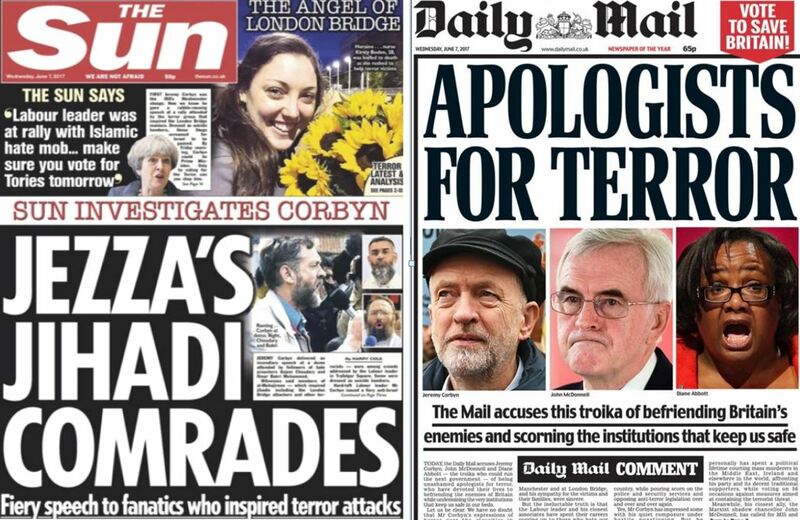 The Daily Mail’s front-page comment piece accuses of the senior Labour trio – Corbyn, John McDonnell and Diane Abbott – of being “apologists for terror”. The Sun leads on a story carried yesterday on the Guido Fawkes website noting that Corbyn addressed a pro-Palestine rally in Trafalgar Square in 2002 which was attended by Islamic extremists. 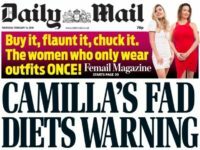 The Mail sets out the case against Labour in the first seven pages of today’s edition. 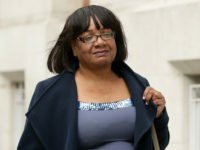 On page eight it then reports claims that Labour changes to council tax will trigger a house price crash and on page nine it reports claims that Labour is “hiding” shadow home secretary Diane Abbott and that she is not ill (as the party claimed yesterday). Page ten reports Theresa May’s claim that a vote against her was a vote for “a coalition of chaos”. And on page 11 it reports that a cabinet minister has threatened to give the BBC “a really good going over after the election” because of perceived bias by the corporation. 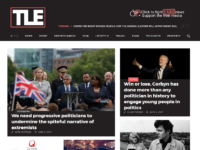 In a comment piece on the same page, Andrew Pierce claims Today show presenter Mishal Husain, the moderator of the main BBC election debate in Cambridge, was “acting as Corbyn’s spokesperson”. On pages 12 and 13 it carries a tactical voting guide encouraging UKIP voters to back the Tories and suggesting that in some seats “Tory supporters should hold their noses” and vote Lib Dem, Green or Plaid Cymru to keep Labour out. The Sun today published a full-page leader urging its readers to vote Conservative because “The Tories alone are committed to seeing Brexit through in full”. 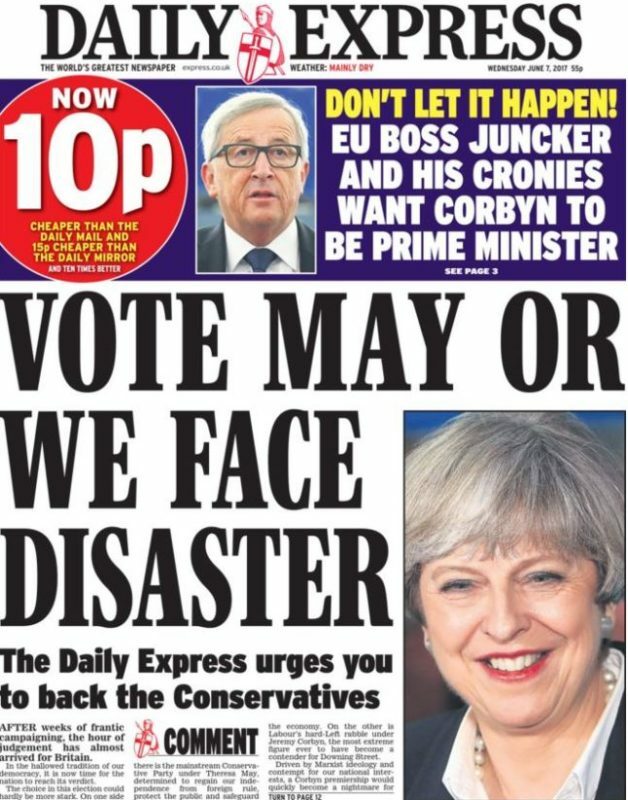 The Daily Express today also published a front-page leader urging its readers to back the Conservatives (switching from UKIP which it backed in 2015). It said: “On one side there is the mainstream Conservative Party under Theresa May, determined to regain our independence from foreign rule, protect the public and safeguard the economy. The Times also today backed the Conservatives in a less than enthusiastic leader column. It said: “The Conservatives have fought a poor campaign. 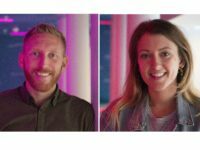 Their manifesto includes policies lifted wholesale from Ed Miliband’s Labour platform of 2015, and a headline strategy on social care that was brave in principle but botched in practice. The Daily Mirror and the Guardian are the only UK national newspaper to support Labour and Jeremy Corbyn. Today the Mirror urged its readers to vote for the candidate in their constituency most likely to beat the Conservatives. 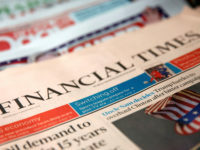 The FT has also backed the Conservatives. The Daily Star, Metro and i are all politically neutral. 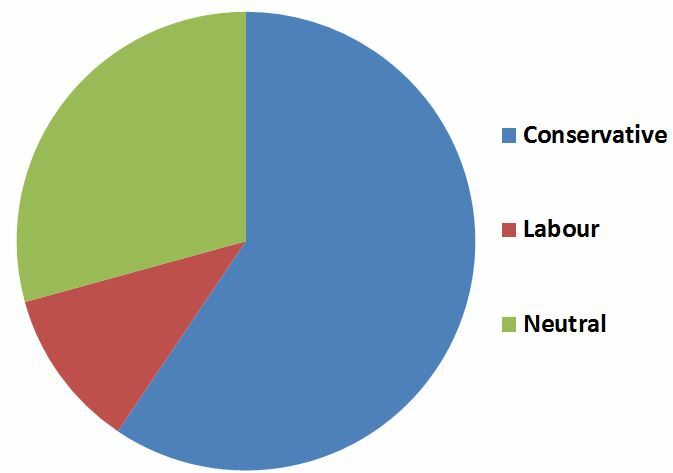 UK Sunday newspapers are similarly supportive of the Conservatives in their endorsements.  However Press Gazette’s analysis suggests that pro-Labour stories have been the most shared on social media. I don’t think I’ve ever read such disgracefully skewed editorial coverage in the run-up to an election. Where’s the independent analysis? Labour doesn’t stand a chance when it’s facing the equivalent of the Charge of the Light Brigade. No wonder Tony Blair spent so much time schmoozing Rupert Murdoch. I guess it makes up for the Labour support on the box, especially on the Beeb.